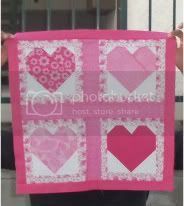 I am leaning toward the zig zag......Gotta make up my mind quickly since the shower is just around the corner and I so want to finally give someone a completed quilt at the shower! Wish me luck! 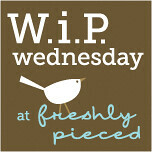 Check out many other WIPS and FO's over at Freshly Pieced. Its WIP Wednesday!